Thought-provoking? I think so. Busby says: ‘identifying a bird is only the beginning’. For many years John Busby’s work has graced the pages and walls of numerous books and exhibitions. His ethos has always been to observe his subjects in the field and record first-hand what unfolds in front of him, rather than what preconceived ideas and published literature tells him he should be seeing. He (and before him Eric Ennion) was among the first wildlife artists to pioneer this approach, creating some of the most evocative and influential styles of work in the world of wildlife art and landscape painting. Previously, in his own understated way, he described his approach through several articles in the RSPB Birds magazine (soon to be known as Nature’s Home – what? really?) and books such as Drawing Birds. And so, with seeds sown, matters are taken further with Looking at Birds. It is another fine production from that great champion of wildlife-based art, Langford Press. It is slightly smaller in stature than the Wildlife Art Series, but no less lovingly crafted together and also great value for hard-earned pennies. So, not a lot about identification. In this case I don’t believe it’s an issue. After all, birds are unaware of the names we have given to them, but don’t appear to suffer for it in any way. Yet, many subjects that are touched on only briefly by field guides and ignored by most monographs are explored here in depth: reflected light, shadows, odd behaviour, humour and beauty. Roughy, toughy subjects? Probably not. Thought-provoking? I think so. Busby says: ‘identifying a bird is only the beginning’. I suggest in some instances that struggling with names only gets in the way of your enjoyment. 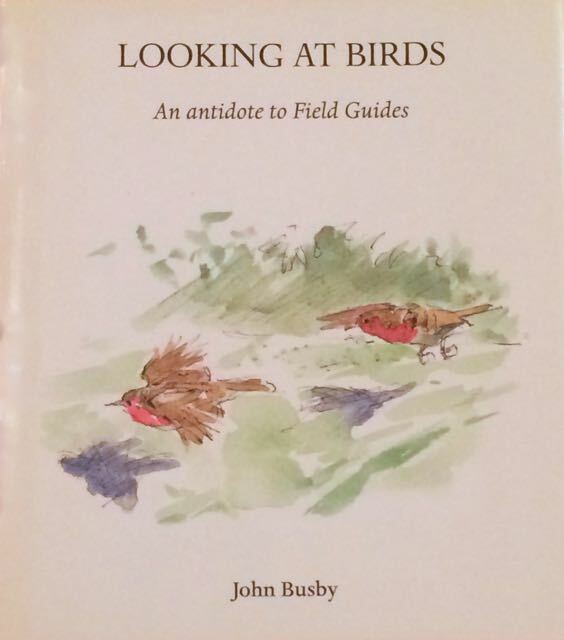 Go on, read it, it may change the way you look at birds forever!